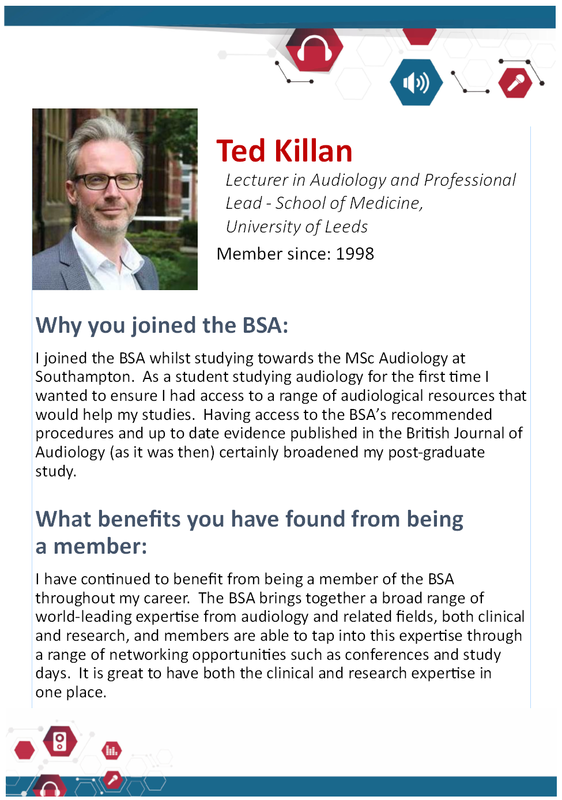 For the BSA to maximise its impact, members need the opportunity to be more involved in the work of the Society. 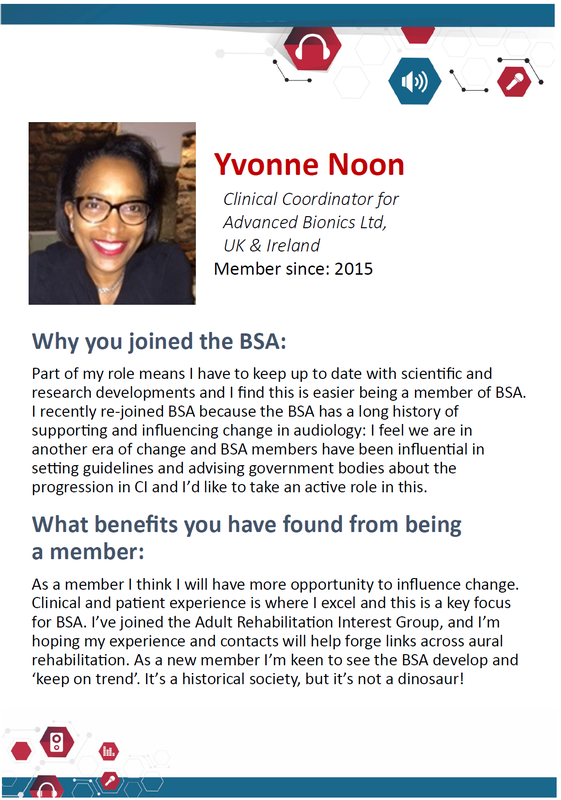 The BSA has committed and motivated staff with a good mix of skills and experience. 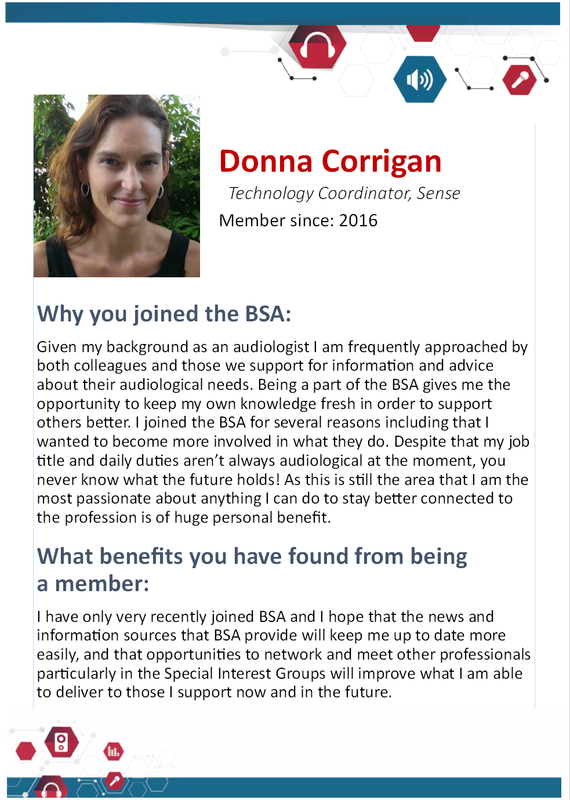 Equally, due to the multidisciplinary nature of the BSA’s membership there is a large range of potential partners and stakeholders who share some of our goals. 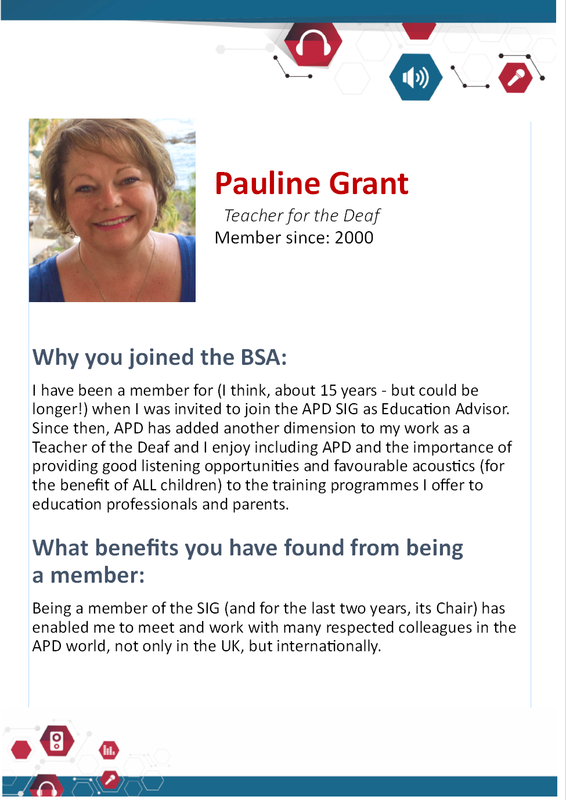 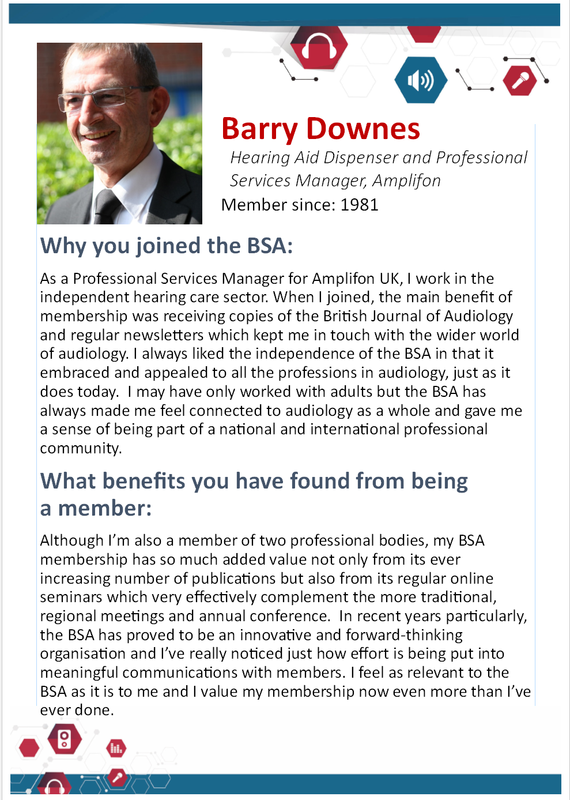 If you want to know why people have chosen to become members and what they have got from being a member then please look through these profiles. 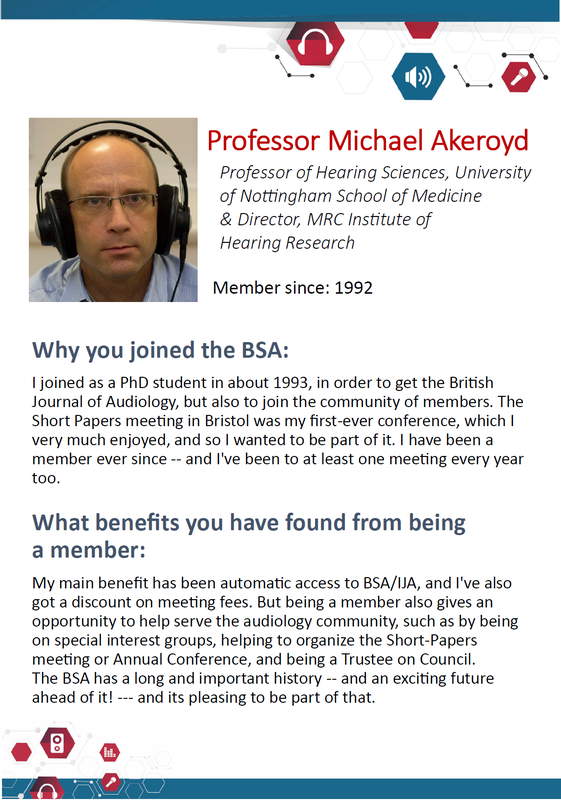 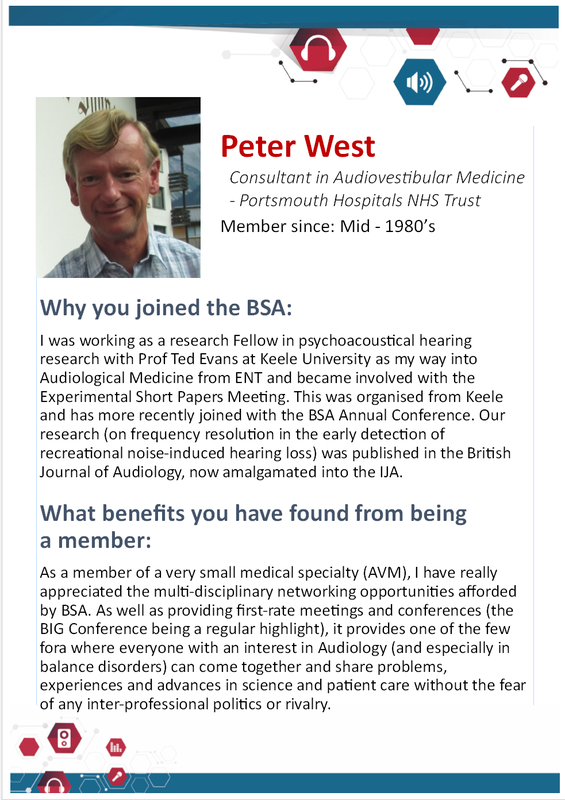 If you believe that advancing knowledge, learning, practice and impact in hearing and balance is important, then join and get involved in our Society. 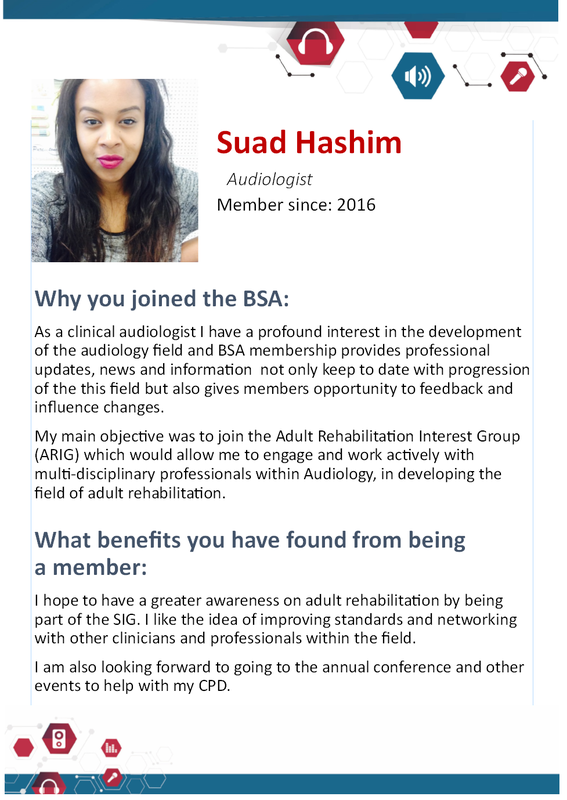 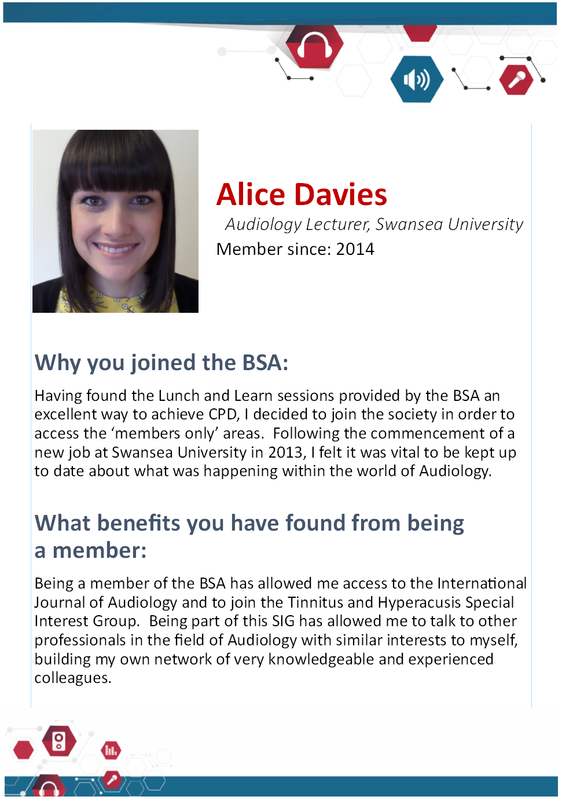 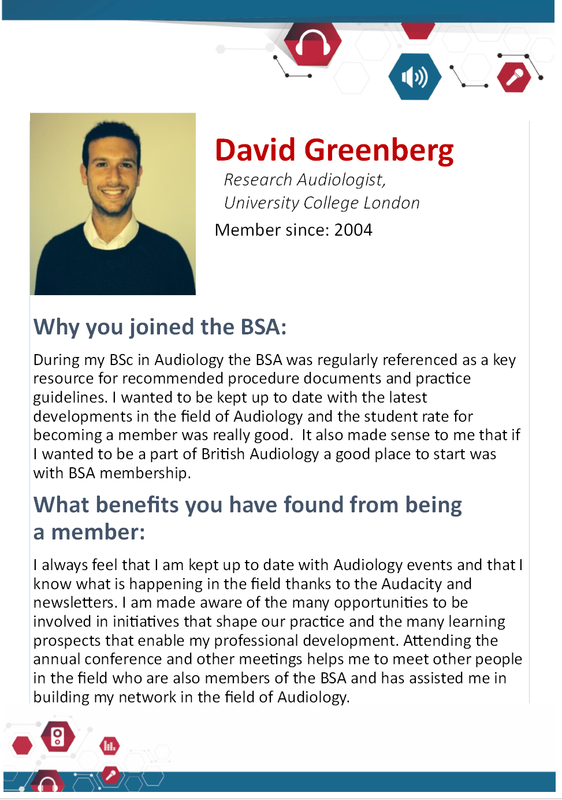 We are an active, collaborative community of over 1,200 members in Audiology, hearing and balance science. 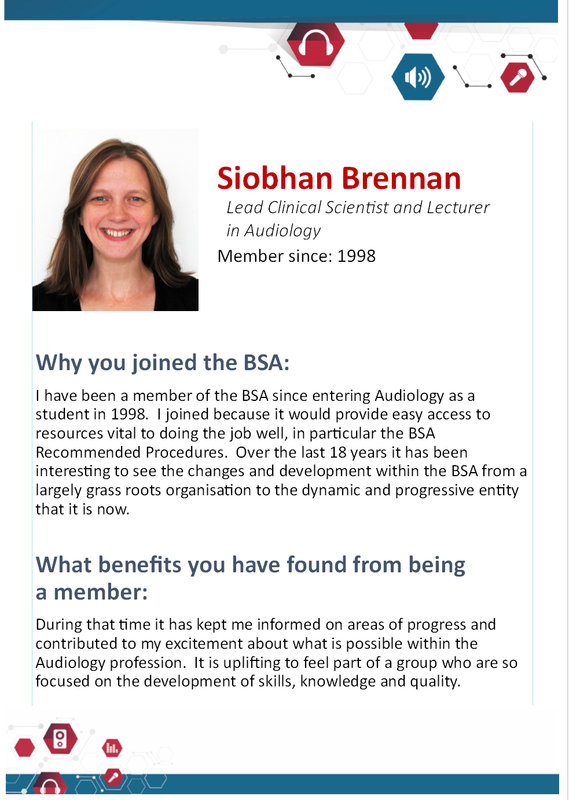 We believe that rigorous research and learning for the multidisciplinary professionals working in this field can influence the quality and best practice for adults and children with hearing and balance problems.